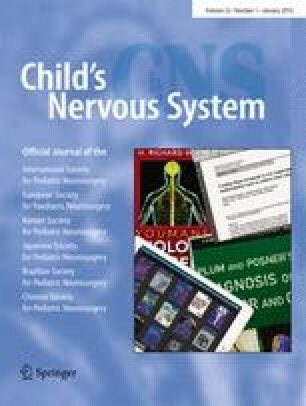 Our center previously reported low transfusion rates for craniosynostosis surgery by two experienced neurosurgeons using standard intraoperative techniques and acceptance of low hemoglobin levels. This study evaluated whether low rates were maintained over the last 10 years and if a less experienced neurosurgeon, trained in and practicing in the same environment, could achieve similar outcomes. All craniosynostosis operations performed in children between 2004 and 2015 were reviewed retrospectively. Transfusion rates were calculated. Analyses examined the relationship of transfusion to craniosynostosis type, surgical procedure, redo operation, surgeon, and perioperative hemoglobin levels. Two hundred eighteen patients were included: 71 open sagittal, 28 endoscopic-assisted sagittal, 32 unicoronal, 14 bicoronal, 42 metopic, and 31 multisuture. Median age at operation was 9.1 months. Overall transfusion rate was 24 %: 17 % open sagittal, 7 % endoscopic-assisted sagittal, 6 % unicoronal, 21 % bicoronal, 45 % metopic, and 45 % multisuture. The timing of transfusions were 75, 21, and 4 % for intraoperative, postoperative, and both, respectively. Patients not receiving transfusion had a mean lowest hemoglobin of 87 g/l (range 61–111) intraoperatively and 83 g/l (range 58–115) postoperatively. Mean lowest hemoglobin values were significantly lower in those necessitating intraoperative (75 g/l, range 54–102) or postoperative (59 g/l, range 51–71) transfusions. There was no significant difference in transfusion rate between less and more experienced surgeons. There were no cardiovascular complications or mortalities. In craniosynostosis surgery, reproducible, long-term low blood transfusion rates were able to be maintained at a single center by careful intraoperative technique and acceptance of low intraoperative and postoperative hemoglobin levels in hemodynamically stable patients. Furthermore, low rates were also achieved by an inexperienced neurosurgeon in the group. This suggests that these results may be achievable by other neurosurgeons, who follow a similar protocol. Portions of this study were presented as a poster at the AANS/CNS Section on Pediatric Neurosurgery (December 2014, Jacksonville, FL). No funding was obtained or used for this study.